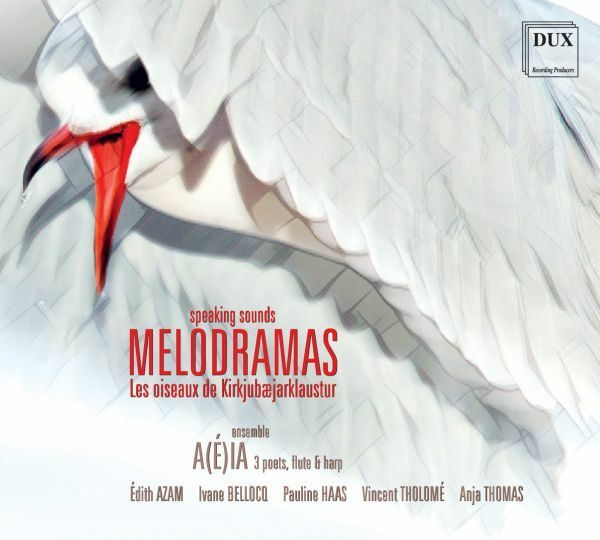 Melodramas - Good start for polish music. The A(É)IA group created by Anja Thomas (Antemanha) and Ivane Bellocq is interested in a repertoire which subtly combines music and recited poetry. The poets reciting their poems are treated as instruments in the full sense of the word. They evoke whirling worlds, plenty of anxiety and dreams. The CD opens with famous German operatic composer Aribert Reimann, whose composition is built around the text by Günter Grass. The project also features: Édith Azam, Vincent Tholomé and Anja Thomas (poets), Ivane Bellocq (flutes) and Pauline Haas (harp).